Perfect for families and couples, Hotel Jardines de Nivaria effortlessly combines class, sophistication, and luxury within a beautiful garden setting dotted with waterfalls and overlooking the Atlantic Ocean. 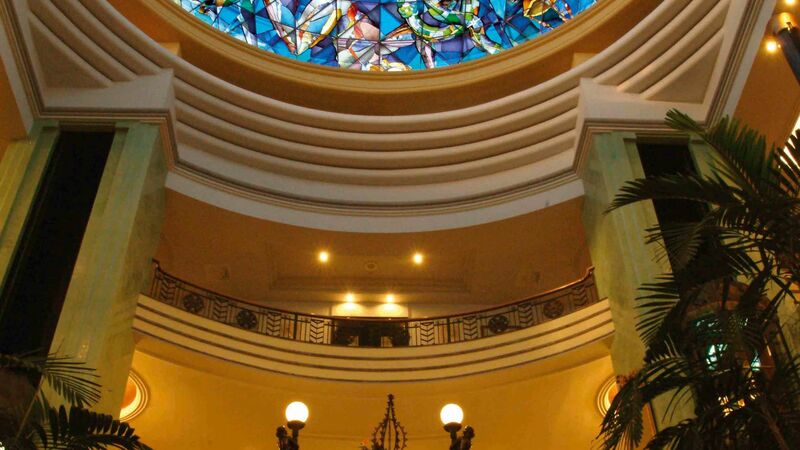 Experience traditional charm mixed with modern magnificence, with spectacular architecture, including its renowned stained glass dome, which opens onto Tenerife’s clear sky. Bright and airy rooms offer modern amenities, and all have a balcony or terrace. Sample a fine choice of restaurants featuring Canarian and French fusion cuisine, in addition to international favourites. Bar Tiffany is the ideal spot for a pre or post dinner cocktail listening to piano music within chic surroundings. 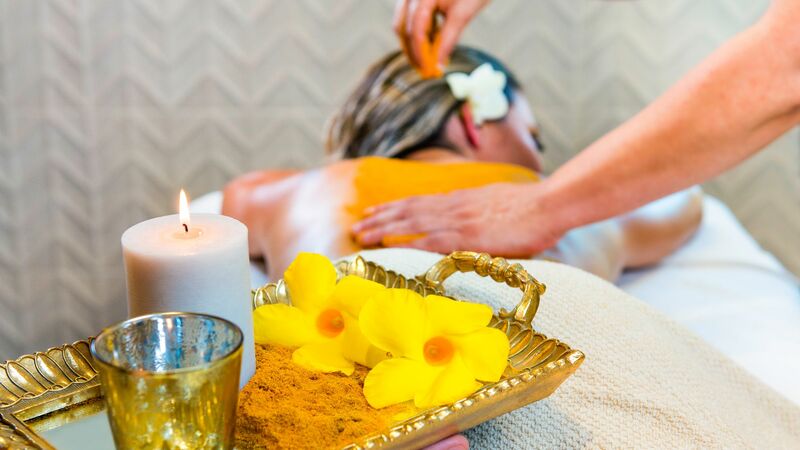 Select from unwinding by the swimming pools or on the golden sandy beach, or treat yourself to a rejuvenating spa treatment at the Aequor Spa to ease yourself into holiday mode. If you fancy something a little more active, check out the fitness area, tennis courts and putting green, or visit the nearby golf courses to improve your handicap. During winter months, the Armstrong Ballroom comes to life with live music and shows. Child prices apply to ages 2–12 years. The Hotel Jardines de Nivaria has 271 rooms. Specially modified rooms for people with reduced mobility and interconnecting rooms are available on request. Enjoy breakfast and dinner on the terrace alfresco style, or in the restaurant where you can select from a plethora of international dishes from the extensive buffet. Breakfast features fresh fruits and fried dishes, alongside elaborate artisan pastry. At dinner, guests can enjoy live cooking at the buffet, in addition to speciality weekly themed buffets offering regional Canarian cuisine. Dress code: Gentlemen (over 12 years) must wear long trousers, shirt and closed footwear for dinner. Ladies must be smartly dressed for dinner. 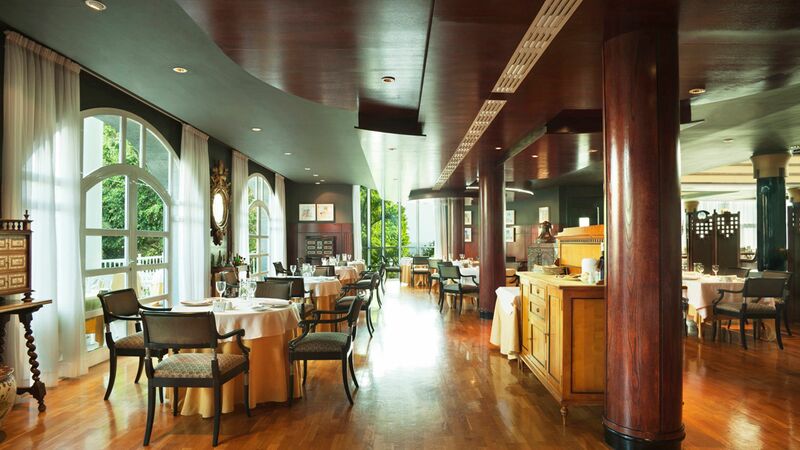 Enjoy fusion cuisine for the most sophisticated palates with both Canarian and French influences. Sample unique dishes from the tasting menu accompanied by a fine Spanish wine, while looking out over the beautiful gardens and pool. Dress code: Gentlemen (over 12 years) must wear long trousers, shirt and closed footwear for dinner. Ladies must be smartly dressed for dinner. Guests staying in a superior suite can also have breakfast in this restaurant. 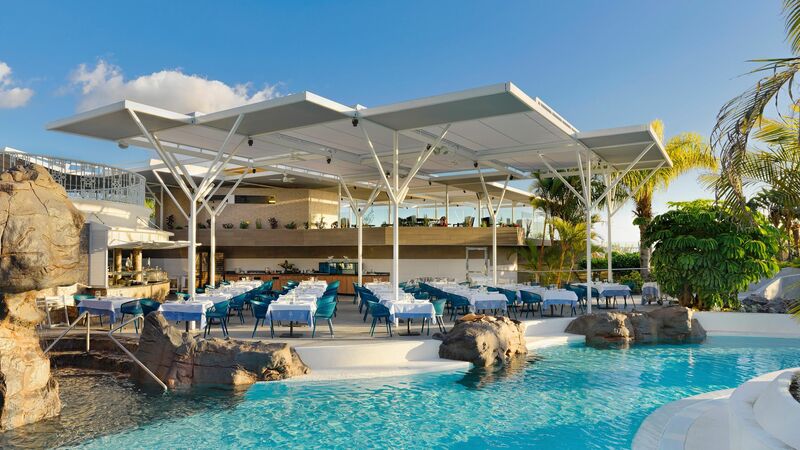 La Cascada serves tantalising tapas, à la carte Mediterranean dishes and snacks for lunch or dinner with views of the swimming pool and stunning waterfalls. Sit outside in the Costa Adeje sunshine on the terrace and enjoy mouth watering dishes accompanied by refreshing soft drinks and wines. 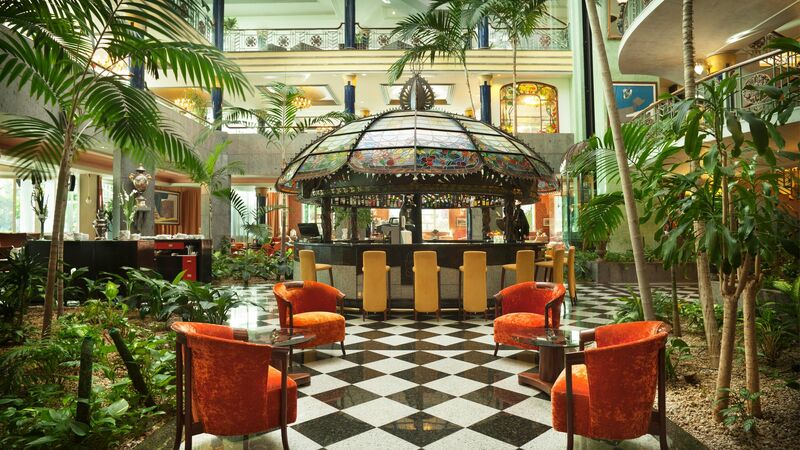 Enter a tropical garden style bar crowned with a fantastic dome and sample delicious cocktails and fine wines while enjoying tranquil piano music. During the summer, guests can enjoy live music on the outside terrace. Sit back, relax, and choose from an exceptional selection of fresh coffee, fine tea, and homemade bakery treats accompanied by international newspapers in the Galeria atrium. There are two large swimming pools for you to make a splash in – one heated seawater pool and a freshwater pool. Younger guests will enjoy the dedicated heated children’s pool, and there is also a whirlpool between the two main pools. Hotel Jardines de Navaria enjoys an enviable location on the beachfront of Playa de Fanabe where you can select from soaking up some sun or sampling the array of water sports on offer, including windsurfing and jet skiing. Playa del Duque is also within walking distance of the hotel. The ultra-modern urban concept Aequor Spa is the ideal spot to indulge, relax, and rejuvenate in opulent surroundings. It’s an oasis of calm where you can sample the steam room, sauna, and cool plunge pool, or treat yourself to the ultimate full body massage or a beauty treatment. There is a range of spa packages available and expert staff are on hand to advise you on an extensive array of treatments to stimulate the mind and body. The Armstrong Ballroom opens during the winter months and puts on a wide variety of impressive live shows and music events. 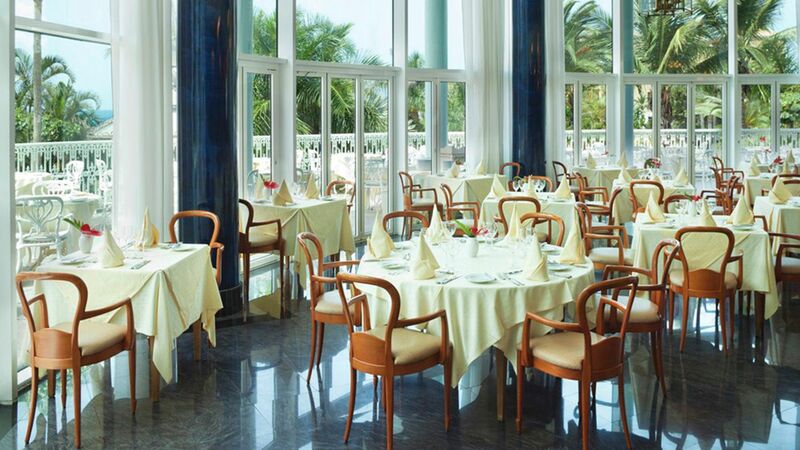 Hotel Jardines de Nivaria can be found in a tranquil area of bustling Costa Adeje, on Tenerife’s south west coast. It’s close to the golden sands of the beach, which were imported from the Sahara Desert, and offers easy access to the town’s restaurants and bars. 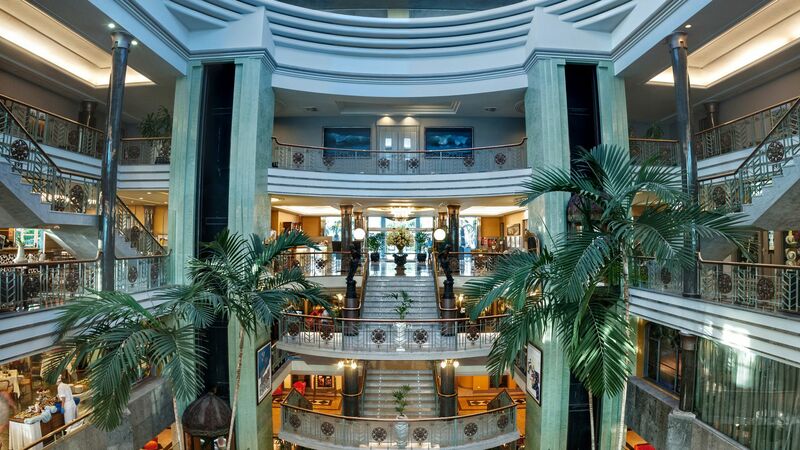 Here you’ll find an excellent range of upmarket shops, as well as five star hotels and a chance to spot some celebs. Families will love holidays in Costa Adeje, with child friendly menus in just about every restaurant, as well as two water parks to choose from. Both of the beaches have Blue Flag status, and offer water sports, showers, and other amenities. 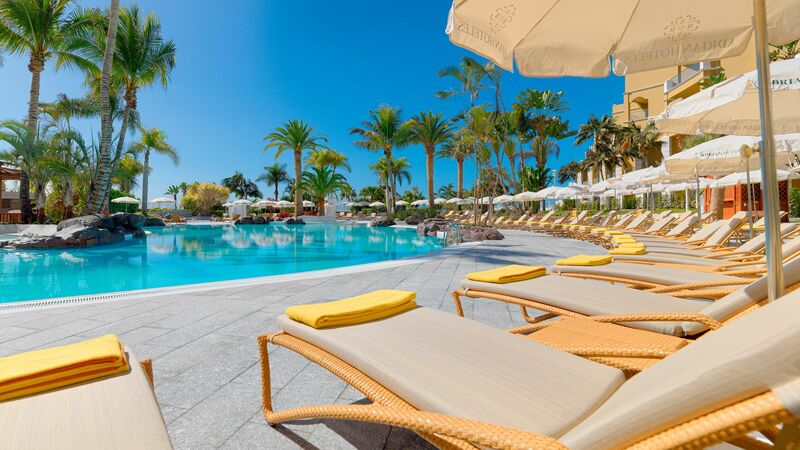 Hotel Jardines de Nivaria is a 15 minute drive away from Tenerife South Airport. The Comfort Double Rooms at the Jardines de Nivaria are modern, elegant and well-equipped. All of these rooms feature either a spacious balcony or terrace which is furnished with a table, chairs and sunbeds. The Comfort Double Rooms with garden or pool view at the Jardines de Nivaria are modern, elegant and well-equipped. All of these rooms feature either a spacious balcony or terrace which is furnished with a table, chairs and sunbeds. The Twin Superior Sea View rooms feature the same facilities as the twin rooms but with additional benefit of having recently renovated bathrooms with a separate shower and bath. These rooms also feature sea views which can be enjoyed from your balcony or terrace. In addition to the luxurious bedroom space, the Junior Suites feature a lounge area with sofa bed suitable for a third adult as well as a desk area. In addition to the luxurious bedroom space, the Junior Suites with sea view feature a lounge area with sofa bed suitable for a third adult as well as a desk area. The Suite Sea View rooms are tastefully decorated with a spacious bedroom area and seperate lounge area with TV. The rooms benefit from fabulous sea views and are ideal for those looking for a little extra luxury during their stay. The well-appointed Superior Suites Sea View feature separate bedroom and lounge areas, a luxurious bathroom with a Jacuzzi® bath and hydromassage shower. Guests staying in these rooms are able to enjoy daily à la carte breakfasts at La Cúpula restaurant. Save up to 15% on the hotel price for holidays between 01 May - 31 October 2019 booked by 30 April 2019. Guests will receive one entrance to the spa per person per stay and a bottle of Cava in their room on arrival when staying a minimum of 5 nights for holidays until 31 October 2019. Honeymooners will receive flowers and a bottle of sparkling wine in their room upon arrival, guests who are on half board will also receive a complimentary set menu dinner in one of the hotels a la carte restaurants (drinks not included) for holidays until 31 October 2019. Currently on a 9 night stay at the Jardines De nivaria celebrating my wife's birthday. The hotel is near the edge of the plaza del Duque shopping area, so kind of on the edge of Fanabe beach but close to el duque beach where we normally stay. We wanted to try another hotel and so far have been mainly impressed. There seems to be two main areas for rooms, one section near the main hotel and pools and another section near the fanabe beach end. We booked a junior suite which turns out to be the beach end and about as far away from the main hotel as you can get, fortunately we like a walk but for some it might be a bit of a trek. The room itself is spacious and modern enough but the real let down is the outside space, our private space consists of a few sunbeds with a row of bushes and wire to look at which separates us from the main path outside the hotel that leads to either Costa adeje to the right or fanabe etc to the left. This path gets a fair amount of people traffic, not very relaxing on the days you choose to chill by the room. More of the positives now, the pool area is nice and although the usual early morning towel brigade grab sunbeds there have been plenty available in most areas except the key pool area. There is also a nice terrace area to sunbathe at the far end but that isn't next to the pool. Breakfast has been good so far, you seat yourself which we quite like as less fuss, once seated they do offer tea coffee but then like most of the buffets you are left alone to feed yourselves. All tastes catered for here. We haven't tried the hotel for dinner yet as we have our usual favourite places to eat but the reviews are ok so may give it a go. There is a car park available beneath the hotel and this is accessed with the room key card, fairly tight spaces but fine once you get used to it. All in all I would say the hotel is on a par with the grande tacande where we stayed last,and even some of the higher rated hotels in Costa adeje,rooms internally better designed but externally really let down at being shoved in the far corner with some bushes to stare at.The Hotel itself though has some very nice features and still a short walk from the better beach. Tip.. Also like most of the hotel chains in the area sign up on the website then you should receive a discount code.